We’ve all watched Stories blow up in front of our very eyes (literally inches from them) over the past few years, with around half of Instagram’s 1 billion users now using the feature every day. In fact, Facebook CEO Mark Zuckerberg calls Stories its last big game-changing feature. During a recent Q4 2018 earnings call, he outlined a number of areas where Facebook will push new features that are aimed to make “major improvements” in people’s lives and build on the success and momentum of Stories. 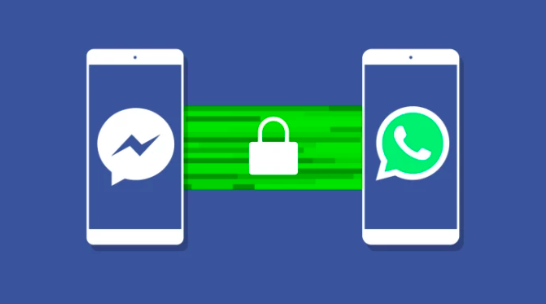 For starters, encryption and ephemerality features will be added for security and privacy, messaging features will make Messenger and WhatsApp the center of social experiences, WhatsApp payments will expand to more countries, and Stories will gain new private sharing options. Facebook Watch is also set to become mainstream, AR and VR will be improved, and Instagram commerce and shopping will get new features. Zuckerberg also touched on plans to unify the infrastructure to allow cross-app messaging as a way to improve overall user experience. After the first redesign of its website in over a decade, Reddit is keeping the housekeeping momentum going, building out its ad offerings to attract more brands to the site. It announced on Wednesday that it’s launching cost-per-click (CPC) ads, which serve as the site’s first performance-based ad unit. These ads can be purchased through the Reddit ad dashboard and will “complete the suite” of the site’s ad offerings, alongside cost-per-impression (CPM) and cost-per-view (CPV) ads. “While cost-per-click advertising isn’t innovative in itself, the launch marks a big moment for the Reddit Ads business. 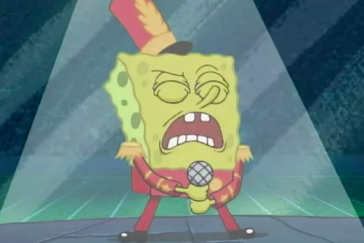 This is a point of inflection that helps get us to parity in the market and will change the way advertisers think about our capabilities,” said Reddit VP of brand partnerships Zubair Jandali. 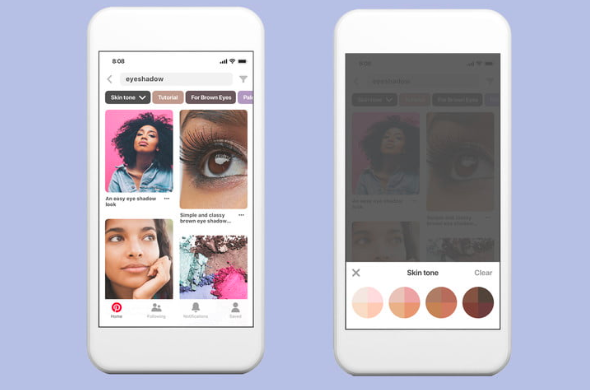 Pinterest recently announced an inclusive beauty search tool on its mobile app, designed to refine results for makeup and hair by including a descriptor for skin color. The tool is a apt move considering almost 60% of skin-related searches include a keyword to limit results based on skin color. The company’s Inclusion & Diversity team worked with the Technical team to create the tool, and since its trial last year it’s been fine-tuned based on user feedback and machine learning. The tool pops up for certain beauty searches (which is one of the most-searched categories on the platform) and displays a dropdown menu of different palettes that users can choose to narrow down their results. The feature will be available on iOS in the coming weeks, with an Android update to follow. Look, we’re not sure how legit an “anonymous source” from “a person familiar with the matter” is when it comes to breaking Snapchat news, but there are whispers that Snapchat is thinking about thinking about (that double up was not an accident) extending the life of public snaps… and we thought you should know about it. Reuters recently reported that public snaps may soon have a longer lifespan or perhaps even become permanent; and cites financial woes as the driver behind the idea. Reuters suggests the move could help the company financially as advertisers will be more likely to invest in ads with a longer shelf life, among other reasons. 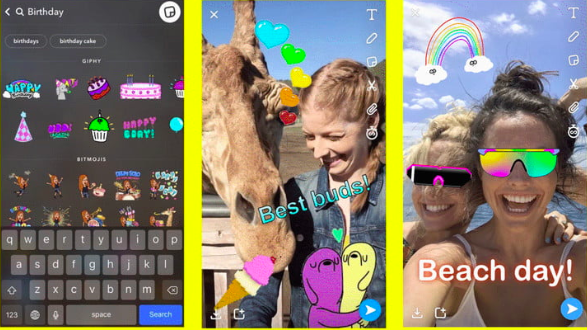 On the flipside, Snapchat users, like their tweeting counterparts, are historically resistant to change, with the backlash to last year’s controversial redesign sending the platform into a user-pleasing frenzy. Because of this past drama, the “source” is saying that Snapchat isn’t diving into the depths of the idea just yet (or even dipping its toe, for that matter), instead choosing to research the pros and cons of making the splash (depth, water temp, under toe, poisonous creatures and the like all taken into account, surely).